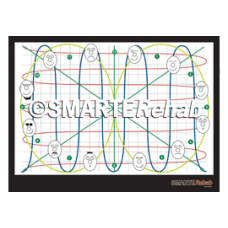 This poster is a highly valuable tool to assist with rehabilitation of proprioception, oculomotor and postural reflexes. 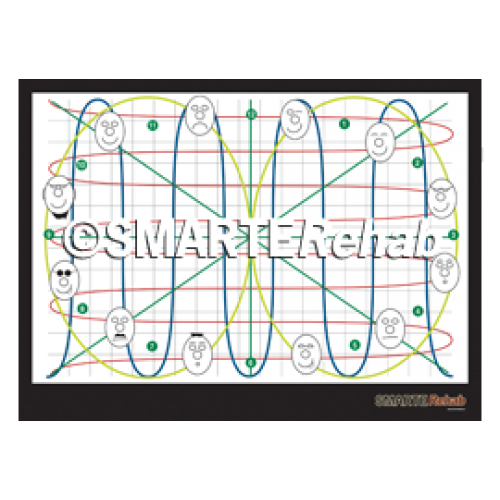 It has a grid that can be used to retrain joint repositioning and postural reflexes (ocular righting reflex, labyrinthine righting reflex); a track that can be used for oculomotor exercises (i.e. visual tracking) and eye-neck-body coordination; and peripheral vision training. It has a highly durable back (not just standard poster paper) and is laminated.